I read this book because my daughter recommended it. It meant I was assured of a really good read; what I did not expect was that it would be so strewn with unhappiness. After all, the central character, Debu, is just 14. 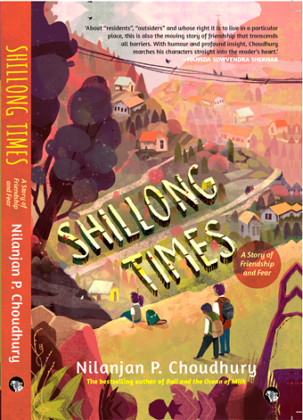 Like most people who lead insular lives preoccupied with their own minutiae, I was unaware of the civil unrest in Shillong at around the same time that I was growing up in the peaceful Nilgiri Hills. When I read Murli Melwani’s book Ladders Against the Sky and interviewed him, he told me that his family had left Shillong at this time and on account of the strife. I did not ask for details, and barely sensed the pain of disruption his and so many other families experienced. Reading this book brought the situation starkly alive. I wasn't surprised to see Murli's name in the author's acknowledgements, and when I emailed this to Murli he replied saying that he had suggested people for Nilanjan P Choudhury to interview. 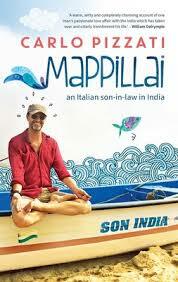 Murli wrote a review too and you can read it on this link. He told me that the title of his review is a line from one of Bob Dylan's songs and that Dylan is very popular with the Khasis of Shillong. While this book skillfully presents social problems and human suffering caused by human greed and political vested interests through an interesting story, it is more than just a device to do so. One of the things I enjoyed most was the way it gripped me. It took me back to my younger self, bringing alive that old familiar feeling of resenting anything that came between me and what I was reading. Beyond the story, there are also passages of commentary which give context, sometimes in a thoroughly amusing way. And the excursion to Mawphlang had me admiring the poignant symbolism of violence erupting in paradise, as well as hoping that I would one day be able to visit the ancient sacred grove. If a women’s courtyard is considered an enclosed inner space, this book is a canvas with streaks and splashes of unexpectedly vibrant colour and design. The women that inhabit the courtyard are strong and lifelike, and the qualities that each one epitomizes is perceived through her actions and speech. So while we never learn the given names of Amma (also known as ‘Mazhar’s Bride’) and Aunty, we experience them very clearly as real people. This is a historical period and a segment of society where poets sing on the streets – but also where arrogance is native to wealth and privilege. Amma has been betrayed by her circumstances, and her constant taunts, bitter appraisals, never-ending self-pity and glorification are received with tolerance and even empathy simply because life has been cruel to someone who expected better. Her sister-in-law Najma, an MA in English and a working woman who in the 1940s arranges her own marriage (and later walks out of it), is vain and consistently demeaning of those she considers beneath her because they have not studied English. She flaunts elitist opinions such as, “Only people who are incapable of getting a job know Arabic and Farsi”. Najma’s sister-in-law, Aunty, on the other hand, is that loving and giving woman – one whose eyes can be seen ‘filled with centuries of grief’ – on whom every large household relies. Even when immersed in disappointment, loss and financial struggle, she labours on, almost always emanating warmth and kindness. Young Chammi – acknowledged as Shamima but once by the author – has the status of one whose mother died and whose father left to live elsewhere, his new life overrun by new wives and their offspring. Beautiful, unwanted Chammi, treated with love by Aunty, somehow became that wild, shrewish girl whose tantrums are feared to such an extent that when her marriage is arranged, no one dares to inform her. Kareeman Bua, who came with her mother in the mistress’s dowry, lives a life of domestic servitude, devoted to the family, oblivious to scars formed by disproportionate rage on her body. This book is not just about women and their cloistered existence; it also shows how global events infiltrate the courtyard and shape their lives. It is set in a period of Indian history of which authentic details have been so obscured by political propaganda and regressive patriotism, that what remains in textbooks and the general mindset is a trite caricature of what once truly was. 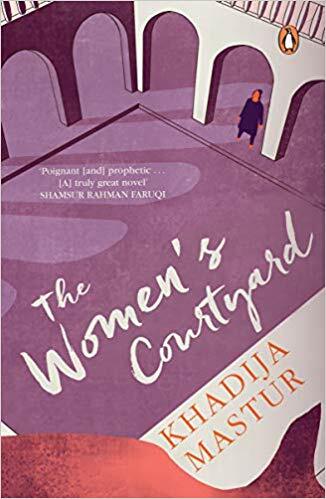 Khadija Mastur was known for her own underprivileged background and her political views, and the lives and conversations in this book open a window on the actual terrain of the era. Here is a Muslim household, steeped in tradition and piety, and the nationalist reality portrayed is complex. There is an overwhelming love for country, which leads to sacrifice of family life and personal comfort, imprisonment, suffering and death. There is also an irreparable rift between members of the family, some of whom follow the Muslim League while others consider them traitors, believing that party to be an instrument of further divisiveness and a fundamental cause of inciting violence and continuing strife. The most enchanting voice in the book is of Aliya, the heroine, who shares her reality with the reader. Sensitive and thoughtful, Aliya feels the pain of the women – but just as much of the men and their inability to bring happiness to their families. The stories on which Aliya thrives mirror through romantic legend the lives of their characters, fueling their wellsprings of emotion and, more than once, resulting in ghastly tragedy. (Women would commit suicide for love and depart as examples of perfect fidelity, and then, some dark night, men would appear to momentarily light a lamp over the tomb, then leave, and that was that). Intertwined with the tradition of stories originating in Arabia runs a strong and persistent strain with the stories and symbols of Krishna and Rama making numerous appearances. And the most beautiful scenes are as the book ends, in the newly-created Pakistan. The clamour and strife subside and wonderful fictional coincidences transpire, one bringing a tragic finality and another opening out onto a horizon of love and hope. This review was written for Hindustan Times and appeared on Saturday 23 March 2018. I started reading this book primarily from curiosity to learn what a 22-year-old who grew up in a home full of books, and with parents who are both writers, would produce. Not surprisingly, it turned out to be a mature, well-written, entertaining story with strong characters. The extras that I enjoyed were its solid moral base and quite a few giggles along the way. 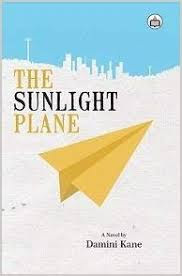 The Sunlight Plane is a book about a group of children and written in simple, engaging language. I emailed Damini to ask if she’d had a reader in mind while writing it, and she replied, “I imagined the reader to be anywhere above the age of 18.” Actually, while reading it I’d felt I’d recommend it to ‘young adults’, expecting them to enjoy and gain from it the way they would with books like Catcher in the Rye or The God of Small Things – or even Portnoy’s Complaint. This book does not have graphic and potentially controversial scenes as the last named, it does have a central issue which is quite horrific and it clearly outlines the trauma and the dilemmas of the children who encounter it from different angles. Damini told me that she started writing this book when she was 19, when she was in college. She started with a clear idea of who the characters were, and how their interpersonal conflicts would further the plot. The first draft took six months, and after that it was just rewrites and editing. While this book will not have a sequel, Damini is working on monthly fantasy and science fiction short stories, just for practice. These she uploads on her blog www.everythingkane.wordpress.com. Practice and read, read and practice! There's no short-cut around this. It's especially important to practice the things you're not as good at. Personally, I'm doing these monthly short stories because I'm not half as confident at writing short fiction. Working on what you're weaker at will only make you better. Good advice for anyone doing anything, is what I thought, and it felt good to know that young people today aren’t all low-attention-span, low-hanging-fruit gimme-gimme type people as it quite often fearfully appears to be. On Tuesday, I attended a book launch at the US Consulate, an event held to honour an extraordinary person and his commitment to Indo-US relations. When I first met Sunder Advani a few months ago through my research into pre-Partition Sindh, I had no idea who he was. 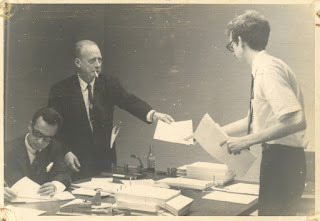 His family’s story was fascinating, and I felt gratified when he liked the way I had presented it, and commissioned me to work with him on his memoirs. 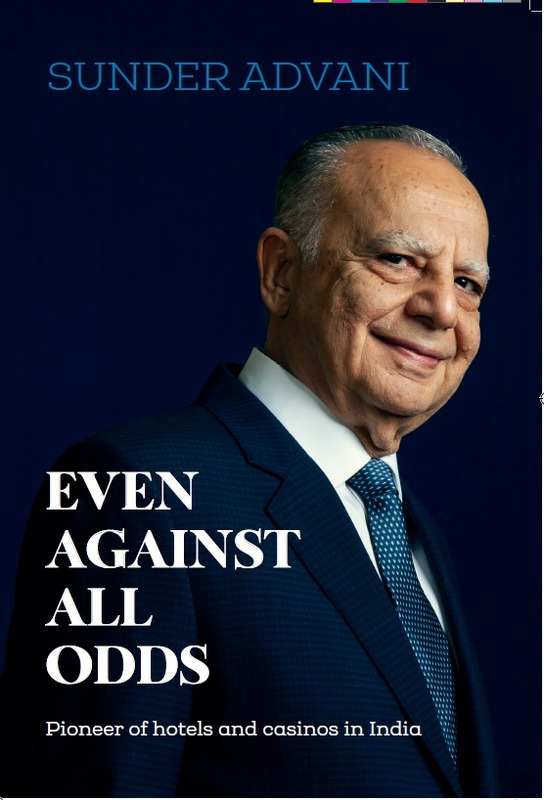 As we proceeded through the story of his life, I felt surprised and impressed to learn the extent of his contribution to the Indian hotel and hospitality industry. I have lived in India all my life, enjoyed the Taj and Oberoi in Bombay when I was young, and later hotels of the many international chains that entered in the 1990s. 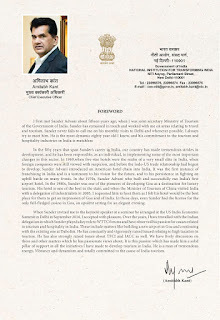 However, I had absolutely no idea that there was an individual, one sole person, and that too someone without family money or political connections or even a home of his own when he first came to live in Bombay – who had significantly shaped India’s hotel industry through his personal vision and efforts. Sunder had been just too busy working, and struggling to get things done, and his story had never been told until now. 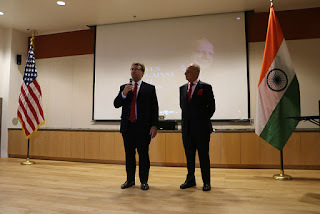 For a full fifty years, Sunder had also been committed to developing stronger ties between India and the US – starting long before the time when the two countries were considered natural allies, as they are today. It was a fitting tribute that the US Consulate launched his memoirs a few weeks after they were published on his eightieth birthday. 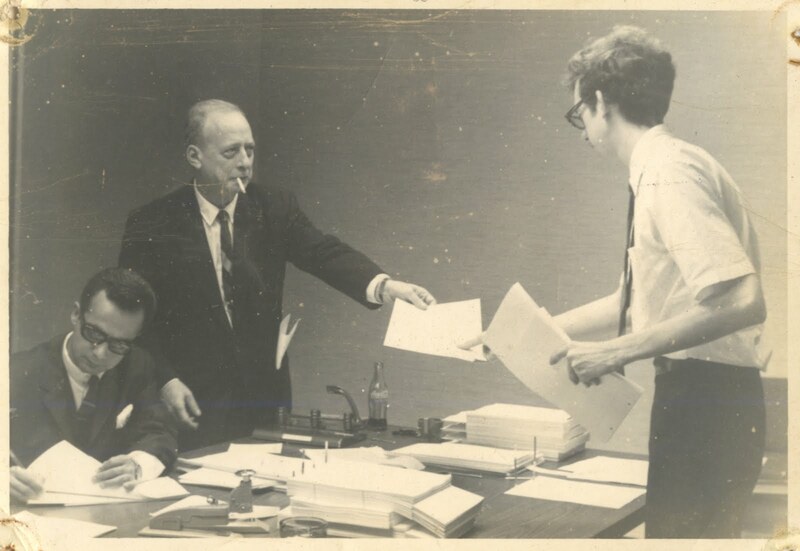 In the 1960s, as a young man living in the USA, Sunder worked in a prestigious and well-paying job where he used his education and analytical abilities to provide information on the basis of which decisions important to that country would be taken. At his father’s urging, he left it behind and came to live in India – then still a developing nation, newly independent, overpopulated, rife with poverty, illiteracy and corruption. Every step of the next fifty years was fraught with peril – and bravely defended. He was badly let down by his partners and suffered a series of business betrayals, hostile takeovers and concept pirates. Through it all, he worked his way through the hardened maze of government bureaucracy with steadfast courtesy and tenacity, endlessly seeking and acquiring one permission after the other to conduct his business and grow it. 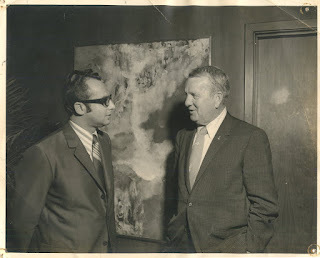 With Kemmons Wilson, Founder and Chairman of Holiday Inns Inc.
in his office in Memphis, Tennessee, 1970. Sunder Advani was the first person to bring international standards to the hospitality industry in India, through the mature systems and processes of Holiday Inns Inc., USA. His visionary public issue in 1972 – preceding those of both Taj (Oriental Hotels) and Oberoi (EIH Limited) – was fully subscribed. In the 1970s, when Bombay was serviced by just one domestic airline and just one airport for domestic and a few international flights, Sunder set up a flight kitchen, and India's first sound-proof airport hotel, Airport Plaza (later Orchid Hotel, after it was bought by Vithal Kamat). In 1978, a time before mobile phones, the hotel had the only discotheque in the Bombay suburbs and a pool with a jacuzzi. Sunder Advani was among the first to see the potential in Goa and work single-mindedly to develop it for tourism and foreign-exchange earnings. 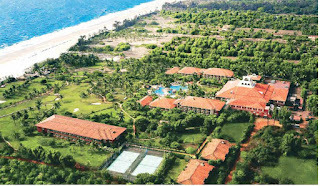 In 1988, when Goa only had the infrastructure to attract backpackers, his was one of the earliest luxury hotels. It was viciously maligned and put under litigation, despite his having kept strictly within the limits of the law. To extend tourist spend in Goa over the lean monsoon months, Sunder envisioned indoor entertainment in the form of casinos. His offshore Casino Caravela provided an elegant evening and attracted well-heeled spenders. When competition made the playing field murky, Sunder gracefully withdrew. smiling faces and a beach of soft, powder-white sand. One of the most interesting things I observed about Sunder is his commitment to a good life. He works hard, but his family is always at the centre of things. All through the years, he has travelled on work and taken them along with him on enjoyable holidays.